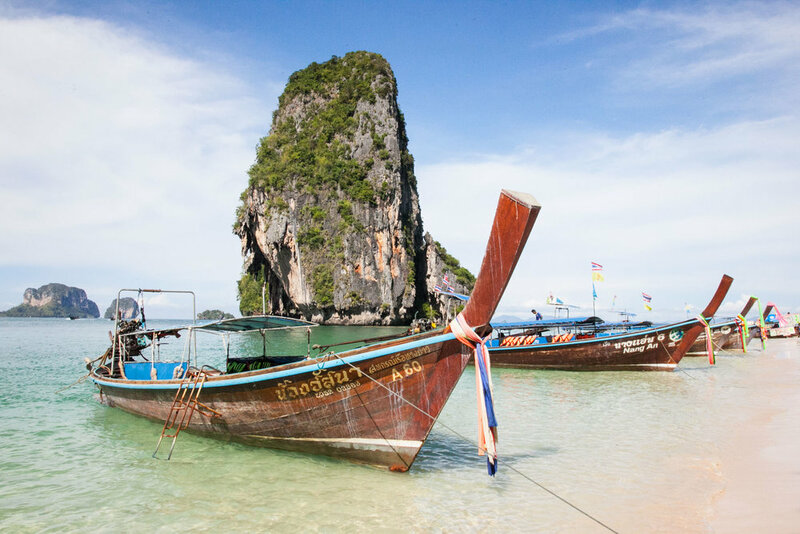 Railay Beach is a small but popular beach town on the coast of the Krabi province in Thailand. 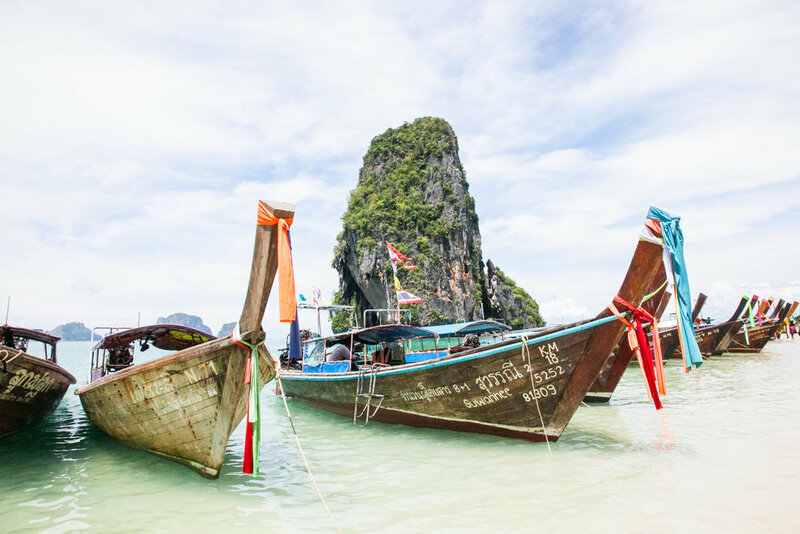 It’s located on the neck of a peninsula and surrounded by karst mountains – which means it can only be reached by boat. The town itself straddles the narrowest part of the peninsula. Because of it’s size, the town is completely walkable. The only vehicles you see are small motorbikes for transporting goods from ships to the various shops. On our first night in Railay Beach, we were gifted with the most stunning sunset. Dare I say it is the most incredible one I’ve ever seen. There is a rain storm in the distance over what looks to be Phuket. The long tail boats bob up and down in the water as deep yellows and orange hues take over the sky. It started to rain but that only seemed to add to the amazingness of this moment. In that moment, it finally started to sink in that we were in Thailand. A country that has been number one on my bucket list for years. What an incredible welcome. "The woman who follows the crowd will usually go no farther than the crowd. The woman who walks alone is likely to find herself in places no one has ever been before." ✨ . During the day, this beach is packed with people. Cruise tourists and day-trippers everywhere. Instead of dealing with the crowd, we woke up early and came first thing in the morning. It was amazing to be the only ones there. . What do you do to escape the crowds? "It is better to see a place once than to hear about it a thousand times." ✨ . 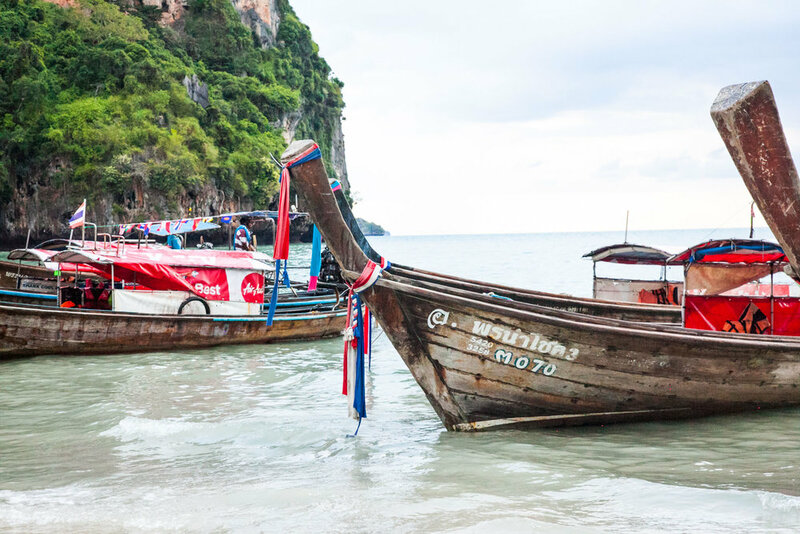 Standing here in front of these iconic long tail boats was a dream come true. 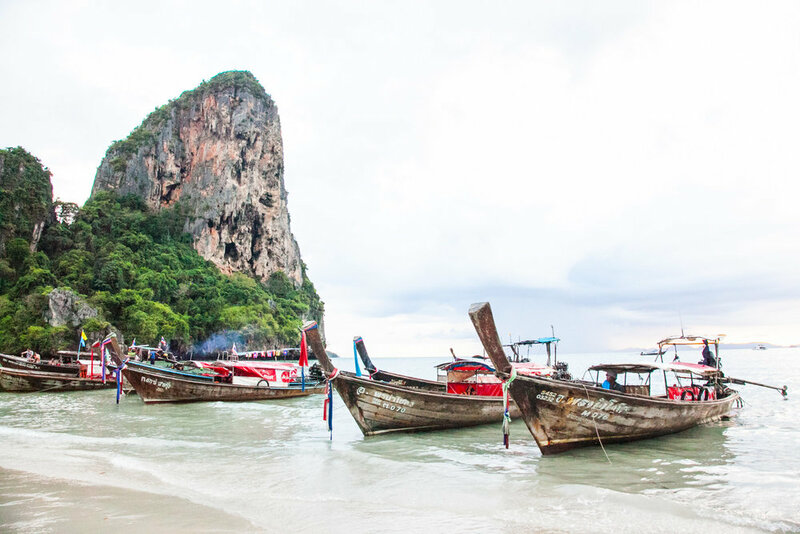 I can't remember how many times I sat up at night scrolling through photos of #Thailand and longing for the day when I would go. It seems dramatic to be emotional about a place you've never been before but that to me is the purest #wanderlust. . What place is on the top of your bucket list? Are you going to Thailand soon? 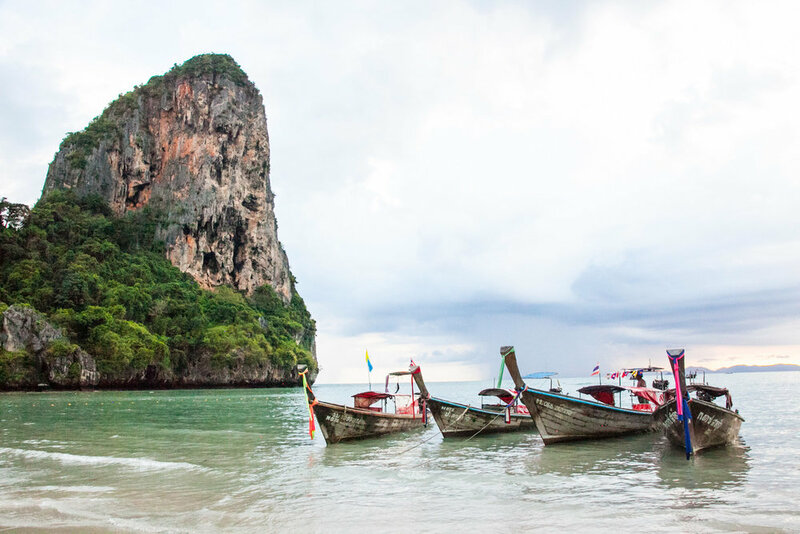 Have you been to Railay Beach? We'd love to hear! Share your story with us and others in the comments below!